We are already a week into 2013 and most people made several resolutions, starting January 1. … and quite rapidly too. By the end of January, gyms are back to their regulars…. no more jostling to use the elliptical or chest press machine. How do you prevent that from happening and maintain the same zest to reach your goal? One of the ways is quite simple and time-tested. Coaches are not just for athletes, they are for everybody who wants to get better. 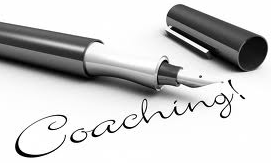 You can have a coach for your business, for your financial life, for your relationships, for your spiritual life – in fact, for pretty much any area of your life that could do with improvements and guidance. As mentioned before, I have several – including a fitness coach, a strategic coach and an online business coach. It is the fastest way to get to where you want to be – a coach is meant to PUSH you beyond your comfort zone, which you need to jettison if you are going to get to that goal you’ve been dreaming of. My experience generally is that I am always surprised how far further I can stretch or be pushed. I, like pretty much everyone, have a perceived limitation. A coach ignores all that and helps you blast way past that. The results are amazing – feeling fitter, getting my business up and running far faster and smoother are benefits that have a return far beyond what I paid for those services.